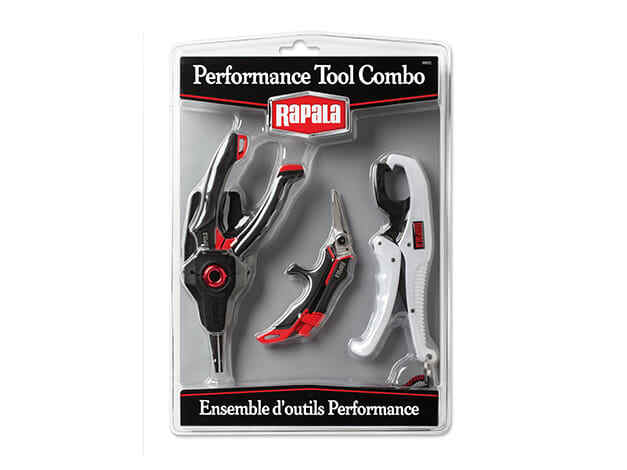 Get all of your favorite fishing accessories in one package with the Rapala Performance Tool Combo. This combo package includes the Rapala Mag Spring Pliers made with stainless steel for durability and a one handed design for ease of use. It also has the Rapala Precision Line Scissors for cutting the toughest lines without sacrificing precision. Last but not least, the Rapala Floating Fish Gripper that's safe for anglers of all abilities and the fish they catch. All three of these wonderful tools in one package, at one fair price.